Chromecast is one of the finest, portable and convenient tools to stream content from your smart phone, tablet or laptop to your television. It's so affordable that making it one of the most preferred gift through the festive season. Chromecast is a nifty little device, just a tad heavier than a typical pen drive which can be plugged into the HDMI port of a contemporary television and you can use the mobile app of the device to live stream videos and movies, or play music and multimedia files on your television. However, Chromecast doesn’t work with all video or audio formats. Namely, to successfully play AVI video with Chromecast, you have to consider following 2 things. Chromecast recognizes MP4 and WebM. 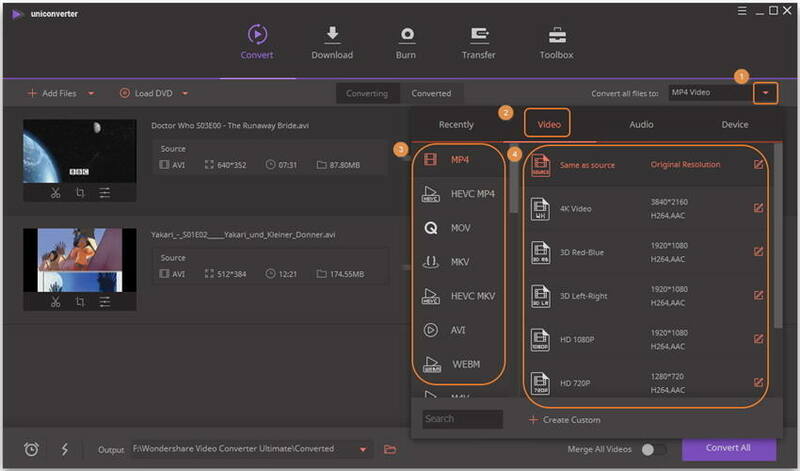 These two formats have Video codecs H.264 High Profile Level 4.1, 4.2 and 5 as well as VP8. They have audio codecs HE-AAC, LC-AAC, MP3, CELT/Opus and Vorbis. These codecs make these formats recognizable and you can play these files on your television using Chromcast. But other formats will not be recognized. The formats not recognized are AVI, WMV, FLV, MPG, MOV, WTV, OGV and more. If you have an AVI file, then you need a converter or some way to Chromecast the content to TV. Here is how you can convert AVI to Chromecast format for your television. Step 1 You can use a Chromecast Video Converter. 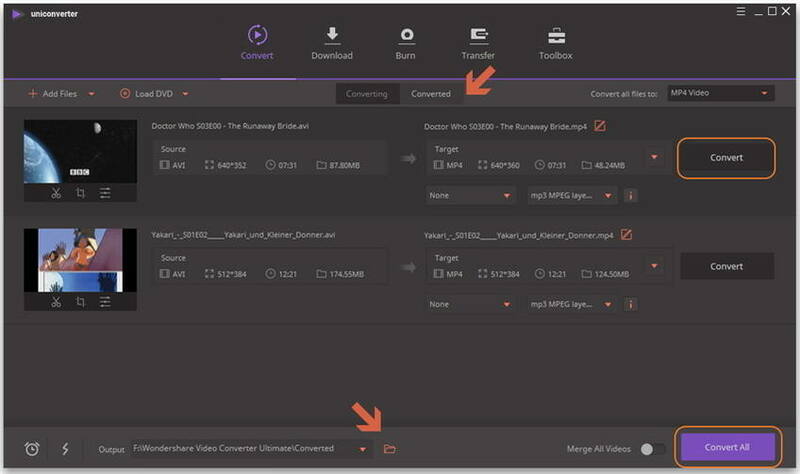 You need to download the software, install and launch it first to get a simple three step process with which you can convert an AVI video to be compatible with Chromecast. 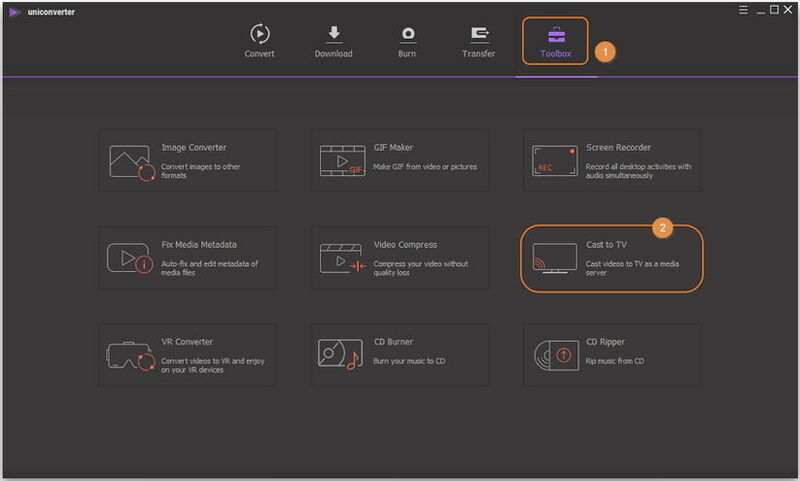 Step 2 Once you open the converter, you can use the simple drag and drop feature or click to add AVI video to the Chromecast video converter. 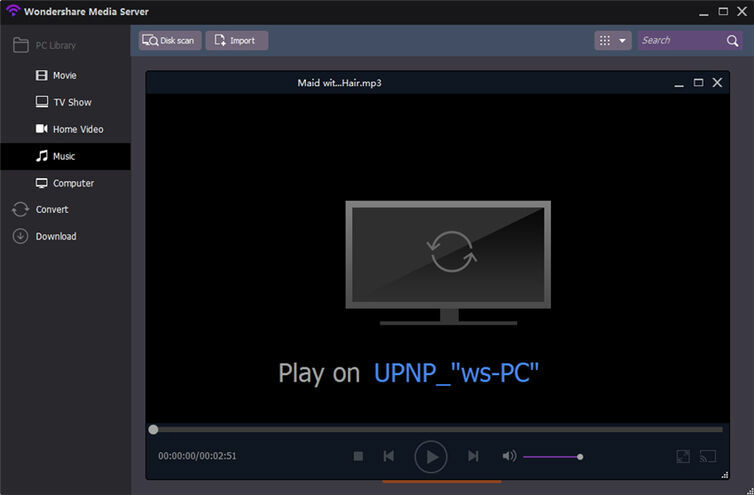 Step 3 Select MP4 or WebM as the output format. Just as mentioned above, Chromecast is fully compatible with MP4 and WebM format, so you should select the H.264/MPEG-4 AVC Video (*.mp4) format. You can find it by click beside Convert all files to: and choose Video > MP4 or WebM, then select your desired resolution in the right. Note: If you don't want to batch converting AVI to MP4 or WebM, but convert to them respectively, then you can click from the Target section. 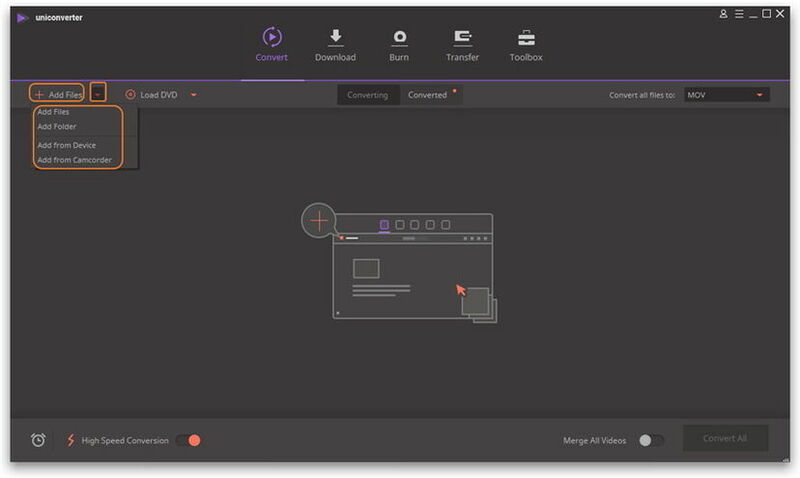 Step 4 Click on the Convert All or Convert button to start AVI conversion, after a while, your AVI video will be converted to Chromecast supported format in .mp4 or .webm. Now you can either click the foler-like icon in the bottom or switch to the Converted tab to fetch the converted AVI video. Aside from converting AVI video to Chromecast compatible format, you can also use a streaming program to directly play AVI video on your TV. This is a better option as you cannot always load a file, wait for it to get AVI video converted and then play it on TV using Chromecast (which is time consuming and laborious). 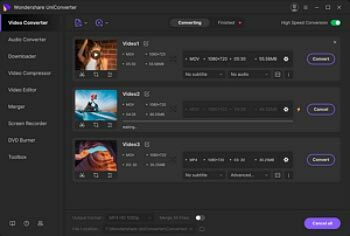 Speaking of the well-known video streamer tool, Wondershare UniConverter (originally Wondershare Video Converter Ultimate) is one of the most helpful one as far as I know. Its built-in media server can live stream AVI to TV. Below are the detailed instruction on how it streams AVI to Chromecast. 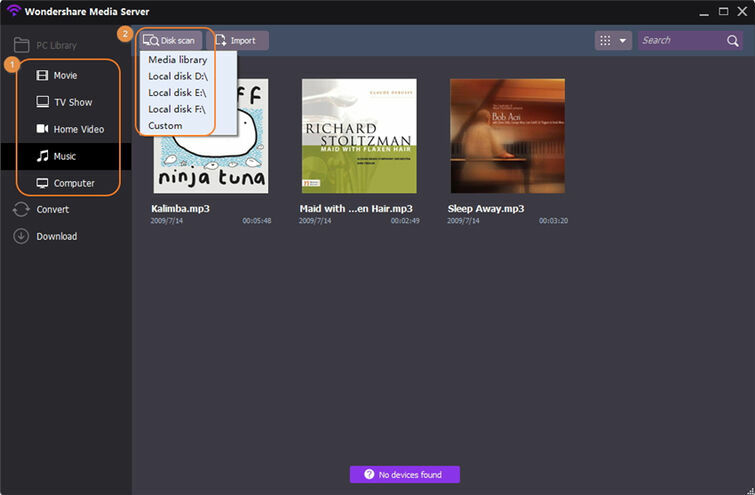 Step 1 Launch Wondershare UniConverter (originally Wondershare Video Converter Ultimate) and click Toolbox in the top, then choose Cast to TV. Step 2 Then you'd get a separate Wondershare Media Server window. Now add your desired AVI video to the media server as the screenshot shows. Step 3 Move your mouse over the just added videos and you’ll see a Wi-Fi like icon in the middle. Step 4 Click on the icon and you can see the AVI video streaming to your Chromecast simultaneously. That's it! 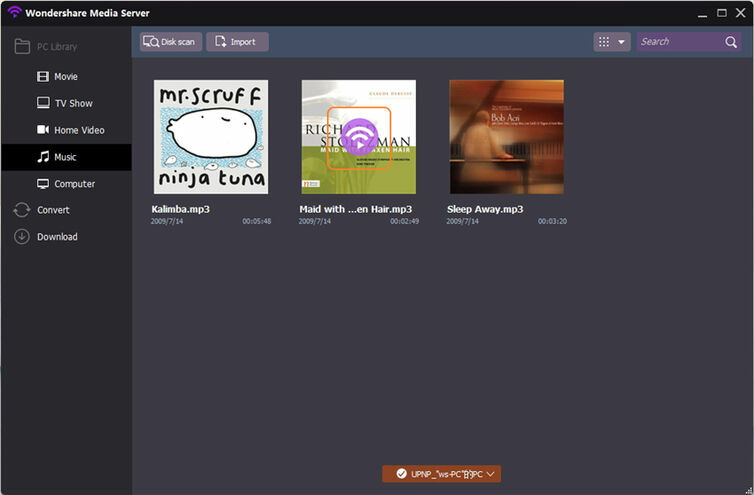 Wondershare UniConverter (originally Wondershare Video Converter Ultimate) works with over 1000 video/audio formats, including MP4, WebM, AVI, MKV, MOV, etc., and almost any popular device like mobile device, PSP, and TV via the HDMI port courtesy Chromecast. When time is of essence and convenience is key to having an entertaining time, you should resort to the software that makes converting AVI to Chromecast format easy and surefire. That is what Wondershare Video Converter would do for you.